A Lovely Cozy Studio in Candace Aster! 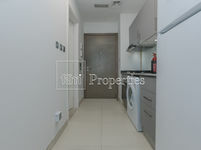 Super Hot Beautiful 1 Bedroom Apartment. chiller free fully furnished brand new . 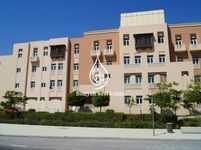 Find a wide set of apartments for rent in Al Furjan project. Al Furjan is an integrated mixed use community that has multiple residential developments scattered around it coupled with many commercial projects like retail centers and other. The project is situated Sheikh Zayed Road and Mohammed Bin Zayed Road, a truly central location near to all vibrant locations of Dubai and only minutes away from Dubai International Airport. The project is adjacent to the master development of Discovery Gardens community and Jebel Ali Village, it’s also accessible from Al Yalayis Street and Al Asayel Street. The project sprawls over a total area of 560 hectares, it’s fast-paced growth marks the increasing demand from investors on its properties thanks to the various qualities offered. Al Furjan is also very popular between Dubai residents who look for a vibrant community in the heart of the city where prices are still convenient. As a master developer of the project, Nakheel was keen from the beginning on maintaining a the highest standard in finishing, master planning, and architecture. The project composes mainly from four main sectors; North, South, East, and West. The project includes around 4,000 residential units varying between houses, apartments, hotels, and villas. Many renowned real estate developers took part in Al Furjan development like Azizi Real Estate and Danube. 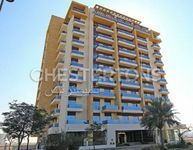 They launched various communities that incorporate copious apartments displayed for rent including Azizi Daisy, Azizi Feirouz, Iris, Orchid, Yasmin, Dreamz, and Ritz Residence. 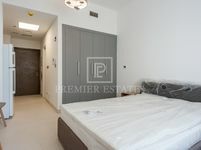 The project’s apartments come furnished and unfurnished, they range in size from one-bedroom to five-bedroom flats. All sorts of flats are available to meet the divergent demands of residents and be up to their expectations. Besides the villa and mixed-use communities, Al Furjan has a mid-rise apartment community which is Masakin Al Furjan. The available flats are widely demanded by singles, couples, and families, they find in it a total relief from the busy and hectic life in the grand city of Dubai. For extended novelty, Al Furjan has many facilities and amenities located everywhere around the residential communities including mosques, sports venues, retail centers, gardens, schools, and direct access to public transportation means to link it to other localities around the city. 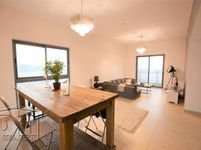 Our list of apartments for rent is daily updated with new listings brought from different communities around the project and well chosen to fit users’ expectations. Just Property’s first aim is satisfying property lookers by providing perfect options that meet their aim. Without any compromise in quality or standards, housing options in Al Furjan district is less expensive than other sub locations in Dubai.Once you find an appropriate apartment that fit your capabilities, call the agent’s number. You’ll be able to inquire further about the property to get to know its location, price, status, furnishing style, and other details. The contact details are available for all users, also the text and images. Lists are well curated, they can be arranged according to date of publish, price, or location. It’s all easier now with Just Property, just browse the lists and choose the apartment you want.